In roleplay we try and make realistic characters, lives, dramas, challenges, enemies, and stories. Yet, sometimes in those stories the hardest thing to do is have a character die, especially when you've put a lot of effort into them or gotten attached. Even so we all know that death is very much a part of life, and this can make for even more RP potential whenever an important character bites the dust. Always looking for a way to expand is an integral progression to being the best roleplayer we can be. Who is Apart of Your Legacy? With the up and coming 1.2 Patch, we get an even deeper and more exciting Legacy System. Any and every alt can be related in one way or another. The most obvious being family. Brother, Mother, Sister, Daughter, Son, Father, but perhaps you have alts of differing race/species, they clearly do not share a genetic bond but you can make them allies or rivals of other alts still allowing for a deep an meaningful way to perpetuate your roleplay and storyline with the Old Republic and The Coruscant Vanguard. The option to roll any species, even ones from the opposite faction, will allow for you to have that character as a Republic you never thought you would (or had always hoped you could!) If you haven't already, it might be a good time to consider how your characters all come together to make one amazing story. News Flash: Jedi Council Influencing Sovereign Entities? This is Amanda Trask of the Corellian Post coming to you live with this startling news Update. After the recent Republic Strike Team mission had gone awry aboard a Sith Dreadnaught positioned in Balmoraa's orbit which the Republic Senate had deemed a threat, the leader of the strike team, a Jedi Master named Aiden Flux, has gone missing. 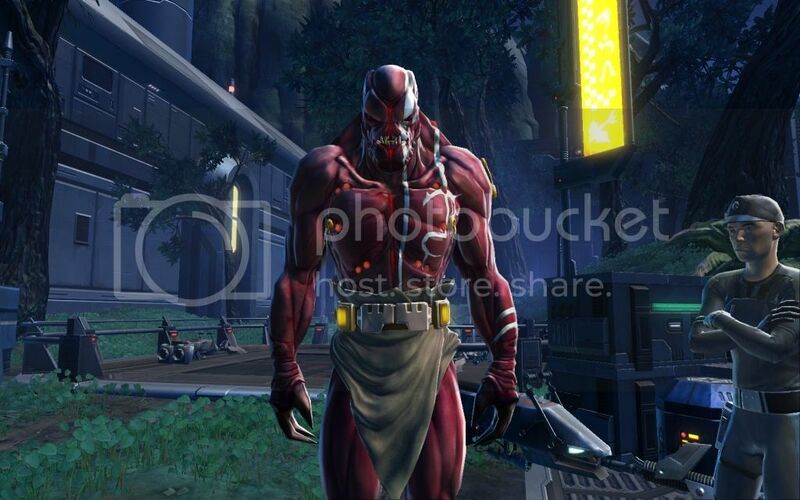 One other has gone unaccounted for, a Zabrak named Khemiq Toth, who shares an uncanny tie to the Jedi Master. They were both reported to two of the three heads to the vast militant and sovereign force known as The Coruscant Vanguard. Aiden Flux is the Commander and Chief of this group of various alien races, men, and women. Khemiq Toth was the quiet strategist behind their well-known resistance efforts and had the position of Marshal. 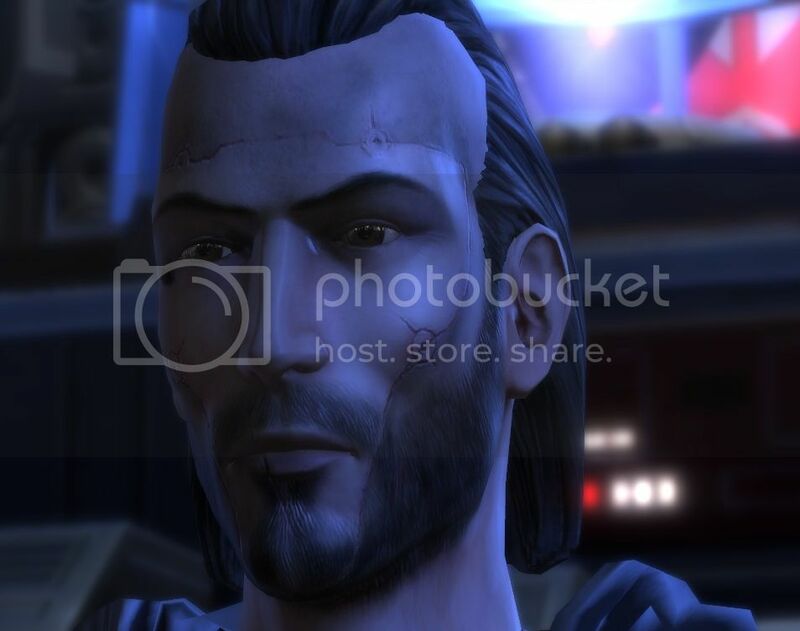 When our news team went to The Headquarters of The Coruscant Vanguard located within the Republic Fleet aboard the Gav Daragon we found that their Battlemaster, an enigmatic human Jedi known as Mikael Novasun, had also been mysteriously missing for several days prior to the incident. When we inquired with one of the many Protocol Droids aboard the Gav Daragon as to whom lead The Coruscant Vanguard, it was told to us that it was a Keeper of Truth appointed to investigate the militia at the request of the Jedi Corps. Without any leaders in place to keep the large and powerful group together the Jedi Council seemed to step in and allow this Keeper to command temporary leadership through them as their last leader as also a Jedi with some high standing amongst their Order. "I find it strange the Jedi Council can just start sinking their hooks into whatever they want, and how did the only two who went missing both happen to be from the same organization?" one Rodian female commented to our news team. "Names are unimportant here, I am merely a Keeper of Truth, and we seek nothing but the longevity of such a prestigious and well-meaning group. Their Commander has long served the Republic and this is a tragedy to have such a man who also was gifted with powerful foresight and his closest brethren go missing in a time of need." Anonymous Sources tipped off the news team that his name is "Vashon" and coincidentally Aiden's Master and original leader of the Vanguard shared the name Vashon as well. Could the two be linked somehow? Is it a Jedi Conspiracy to give the Council the means to strike the Empire? One final tip given by our 'Source' was that the Commander and his Comrades could be hidden in places where objects of notable power and knowledge could also be hidden. The only assumption we could conclude was "Datacrons" were the implied objects. 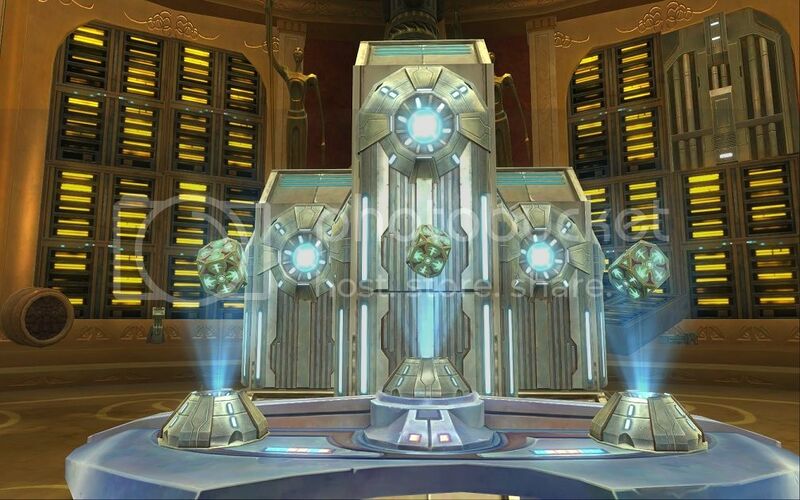 Could a datacron location also house the bodies of the missing? This is Amanda Trask with the Corellian Post, always asking the tough questions. 3. Maxing out affection with all five companion types will net each of your characters a total of +50 boost to their Presence stat, a 5-minute reduction on the cooldown for the super-powerful Heroic Moment ability, and a 1-minute addition to the duration of the buff that Heroic Moment gives you. 4. To purchase a race, which unlocks it for all class types without having to level a character of that race to 50 first, will cost you 1.5 million credits for each race. In addition, you must be legacy level 8 to buy it. 5. All the unlocks for increasing your social rank are emotes. The best emote is /doublelasers (costs 150k and requires level 15 Legacy). The weirdest is /weld (costs 50k and requires level 12 Legacy). 6. There are a total of 4 unarmed abilities able to be unlocked by hitting high Valor ranks through PvP. These will be perfect for brawling in cantinas to show that loud-mouthed Rodian who’s boss, but doesn’t look like a full replacement for weapon skills. Each skill can alternatively be purchased for 10-25k each, and require a Legacy level between 5-15, depending on the specific skill. Has Your Character Story Progressed? In the realm of RP, every character has a story. Yet, many times the roleplayer forgets that the most important quality of a roleplay is the story progression. When we read a story, it is not just events that change, conflicts that get resolved, or just a series of conversations. Characters grow, rise, fall, and even die. In the world of RP we may roleplay but is your character static? Is their personality so quiet and removed nobody ever is able to interact with them? Is there a lack of purpose to their existence making them aimless and stuck in a single phase? Perhaps OOC you are too nervous to approach others or think you'll freeze up? Perhaps IC or OOC the setting of an RP isn't to your style or your characters? Whatever the reason, we have a system in place to get characters more involved and the player as well. Is your character an evil sort who gains redemption? Perhaps the stoic unbending lightsider who finally realizes their views are too narrow? Perhaps they are a nobody who eventually champions a great cause. Or even a do-gooder who loses their way on the straight and narrow and becomes a renegade for their own twisted sense of justice? There are millions of possibilities and we should not forget that there are friends, family, and officers in the guild who would wish nothing more than to help you find your niche. All you must do is reach out to those around you, we are all here to help one another my friends! Think on how your character has progressed if at all and maybe plan out how they can do so if they haven't already or how you want them to go even further! If you're stuck and don't know who to turn them Aiden/Vashon is always available to help facilitate in any and every way possible. All conversations are private and confidential and judgement free, it's never a bad idea to ask for help. It only is a disservice to yourself and others who care about you to stay silent. Do You Have Some Change? I Only Need 2 MILLION!?!? Want to Impliment Guild RP Policies? In roleplay we know there is etiquette, rules, guidelines, typical behaviors, personal preferences, and so much more that gets taken into account when it comes to deciding what is acceptable by yourself but also by many others. I've never brought up personally any guild rules or guidelines other than the three tenants, but I am sure that yourselves as skilled roleplayers and new roleplayers alike have opinions, questions, and interests in this. Guild Member Tiergan has posted a thread wanting to address the use of major lore characters/NPC's in the game as part of roleplay stories! Get in on adding to this very worthwhile thread because we could very well make it a standard practice with your support behind it. Click Here to Read & Post! How Does Lore Effect You and Yours? As any roleplayer knows, lore makes up the entire setting of the game, and what acts as the backdrop to your character and how it came to be. So how did the lore of the game effect your character? How does that shape its personality and past? Yet, most importantly, how do lore based events, quests, and the interactions in between shape their future? It is always important to make them believable and engaging by having the game's lore present in their story (without having spoilers for those who may not have seen certain things.) There's so much in the game worth experiencing, do not sell yourself short. 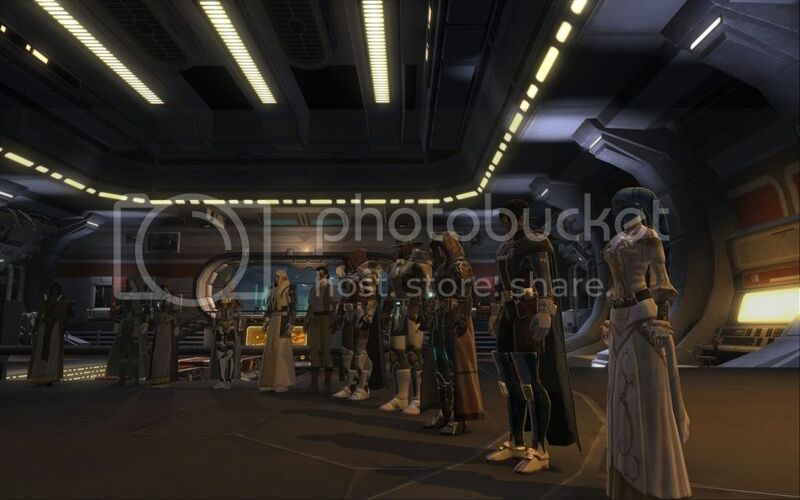 Datacrons, flashpoints, Heroic Quests, Bonus Quest Series, Lore objects, and more! They can all be used to add to who your character is, was, and will become. Speaking of spoilers...don't say who it is, if you've already met him!